Regular hydration, like with Reliant Recovery Water helps cells to process at a higher level. Just got done working out and needed something to hydrate, to give me some electrolytes. So I snagged this guy from my local grocery store. 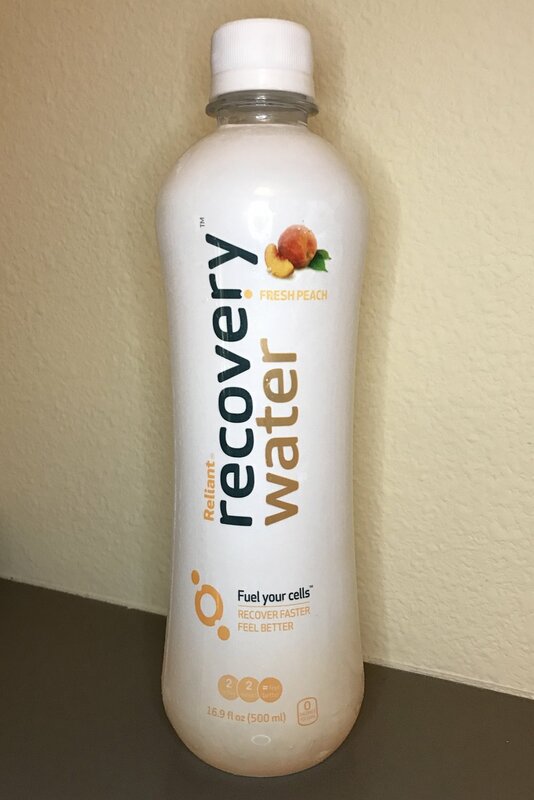 The name - Recovery Water - caught my eye. I got it in the fresh peach flavor. THOUGHTS: it's very lightweight in texture, water-like and has a little sugar free after taste*. But I felt like it really hydrated me after my workout. If the price ($2.99) was a little less and didn't have such an after taste, I might buy it more often. *for some reason I can always tell when something is sugar free, I'm sensitive to the taste. So if you aren't then you probablly won't even notice!